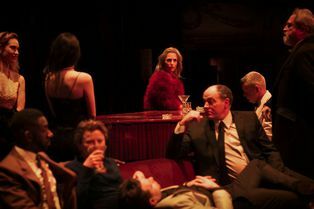 All About Eve makes it West End premiere at the Noël Coward Theatre. Based from the 1950’s film starring Bette Davis, Anne Baxter and Marilyn Monroe in one of her earliest roles, it is the only film in Oscar history to receive four female acting nominations. With a place on the American Film Institute’s 100 Best American Films, All About Eve is set to bring a touch of old-time movie glamour to the West End. 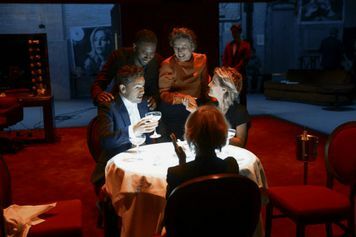 All About Eve will be directed by Ivo van Hove. 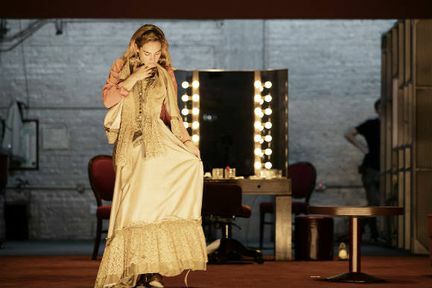 Director of the award-winning A View from the Bridge at the Young Vic in 2014, Lazarus and recent revival of The Crucible in New York, van Hove is one of Europe’s hottest theatre directors. 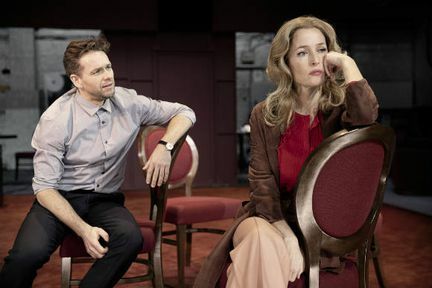 Gillian Anderson will be starring as Margo Channing, the role made famous by Bette Davis. Born in Chicago, Gillian has performed across the United States and United Kingdom, recently performing as Blanche DuBois in A Streetcar Named Desire at the Young Vic, reprising the role at St Ann’s Warehouse in New York. She’s probably best-known for playing Agent Scully in The X Files. 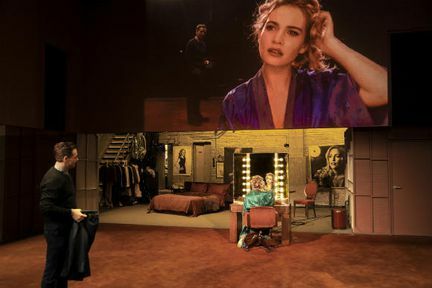 Lily James will play Eve Harington, a role portrayed by Anne Baxter in the film. Most famous for her roles as Cinderella in the 2015 live-action remake of the Disney film, and Young Donna in Mamma Mia! Here We Go Again, James returns to the stage after a three year absence. Her most recent stage credit was Juliet in Romeo and Juliet opposite Richard Madden at the Garrick Theatre, as part of Kenneth Branagh’s year-long season. Merric Boyd, Monica Dolan, Ian Drysdale, Fejiro Emasiobi, Tsion Habte, Charles Hagerty, Jessie Mei Li, Chanelle Modi, Stuart Nunn, Phillipa Peak, Sheila Reid, Grace Stone, Rhashan Stone, Stanley Townsend, Philip Voyzey and Michael Warburton complete the cast of All About Eve. Having just turned 40, Broadway star Margo Channing worries over how she will look in old age and what this could do for her career. Meeting obsessed fan Eve Harington, Margo decides to hire Eve as her assistant. Catering to every whim, Eve is later casted as Margo’s understudy. 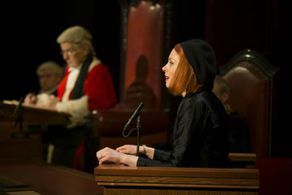 Giving a performance in her place, Eve cunningly invites theatre critics to the show, starting a career that begins her journey to Hollywood stardom. LOOKING FOR CHEAP ALL ABOUT EVE TICKETS AT THE NOEL COWARD THEATRE? With our huge range of cheap tickets for plays, London shows have never been better value. Book with us for All About Eve and enjoy great entertainment at a price that’s in tune with your budget. You can book from 20-Apr-2019 to 11-May-2019. The 1970 Broadway musical Applause ran in New York for almost 900 performances, and won the Tony Award for Best Musical. The quote “Fasten your seatbelts. It’s going to be a bumpy night”, said by Margo Channing in the film, is number nine on the American Film Institute’s top 100 movie quotes. Where is All About Eve?